This masterwork by Judge Richard Beauchamp, is an insightful work by an internationally respected breeder and judge. Written in Rick’s conversational, easy-to-follow style and loaded with photos of the internationally famous, it is akin to sitting down with the world’s top breeders and suddenly, the fundamentals of type are crystal clear. 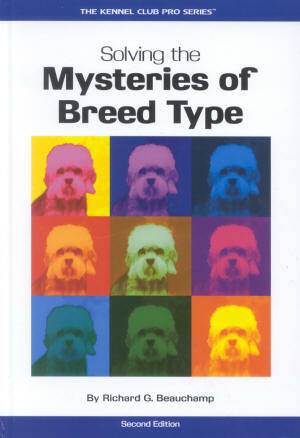 No fancy prose or self-aggrandizing terminology, this delightfully readable book is sure to make you a better breeder or more astute judge. Priced about $30, it’s available on Amazon in hard cover for $29.95 or kindle for $15.19 with credits. "After 40 years of study, I learned how little I knew. Buy it, I guarantee it will change your life!"